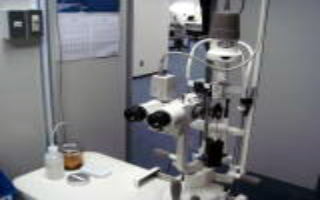 Slit Lamp Microscopy is an examination to determine the condition of the cornea, conjuctiva, lens, iris, and the anterior part of the vitreous body. If you have symptoms such as pain or itching, this test often reveals the name of the disease. A Slit Lamp held by hand examines the eye in this test. This instrument is helpful to examine the eyes of a young child, or a handicapped patient. 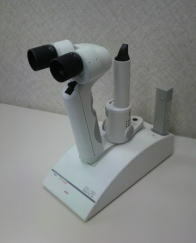 After checked by the naked eye and a Loupe, a Hand Slit Lamp, then a Slit Lamp Microscopy is used to examine in detail. This paper is used to examine whether the surface of the eye is damaged.